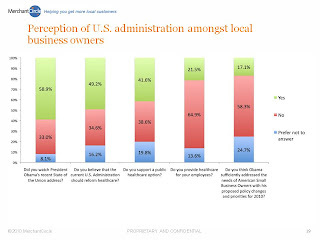 MerchantCircle | Blog: Healthcare Reform and Your Business: Where Do You Stand? 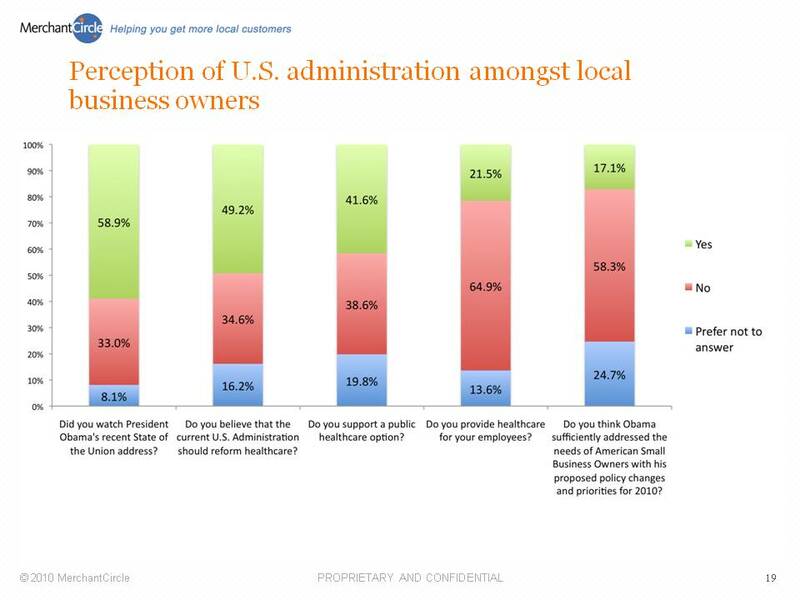 Healthcare Reform and Your Business: Where Do You Stand? The newly signed healthcare reform bill is perhaps the most controversial and debated topic in the last 50 years in America. It has stirred passionate responses from all sectors of the American public, from celebratory to calls of unconstitutionality. Earlier this month, nearly 12,000 MerchantCircle members responded to a series of questions on the current healthcare topic in the Q1 Merchant Confidence Index. Not surprisingly, a good majority of the respondents, roughly 65%, do not currently provide health benefits to their staff. And just about half of the respondents (49.2%) felt the U.S. government should indeed reform the healthcare system. Questions between principle and practicality were covered in this article from USA Today on Tuesday. Clearly, the jury is out amongst local merchants, somewhat due to a lack of clear understanding of the impact to them and the nature of changes which are years down the road. Experts like Steve Strauss say the reform bill will help small business because many of the uninsured work for small merchants. So we’re asking our members today. What are your thoughts now that this proposed reform is reality? Are you fundamentally in favor or insecure about the far reaching effects on your bottom line? Is this a windfall for the future of our domestic workforce and affordability through planned exchanges? Let us and the MerchantCircle community know your thoughts. We look forward to hearing them! Local Business Owners Getting Better with Age?